There has never been a more critical time to focus on the value and sustainability of long term services and supports (LTSS). The number of adults over the age of 65 expected to increase by 65% to more than 76.3 million in the next 20 years—representative of more than out of every five people living in this country. Join My InnerView by National Research Corporation for a look at the new 2014 National Research Report and discover valuable takeaways that you will help you improve delivery of care—ensuring business health and the health of our aging population. · Gain an understanding of what really influences an individual’s experience with an LTSS provider. Speakers: Christine Lang, Senior Director, Product Development – My InnerView by National Research Corp.
CMS released a memo regarding the revision to COT OMRA completion requirements. The memo states, “for the reasons specified in the FY 2015 Skilled Nursing Facility (SNF) Prospective Payment System (PPS) Final Rule (79 FR 45647 through 45649) and FY 2015 SNF PPS Proposed Rule (79 FR 25786 through 79 FR 25788), providers are permitted, in certain circumstances, to complete a Change of Therapy (COT) Other Medicare Required Assessment (OMRA) for a resident who is not currently classified into a Resource Utilization Group, Version 4 (RUG-IV) therapy group, or receiving a level of therapy sufficient for classification into a RUG-IV therapy group. These circumstances are limited to cases in which the resident had qualified for a RUG-IV therapy group on a prior assessment during the resident’s current Medicare Part A stay and had no discontinuation of therapy services between Day 1 of the COT observation period for the COT OMRA that classified the resident into his/her current non-therapy RUG-IV group and the Assessment Reference Date (ARD) of the COT OMRA that reclassified the resident into a RUG-IV therapy group. The U.S. Government Accountability Office (GAO) was asked to examine the number and types of issuers participating in both the individual and small-business exchanges beginning in 2014, as well as how this compared with issuer participation in the individual and small-group markets prior to the exchanges. In its recent report (GAO-14-657) publicly released on September 29, GAO specifically describes (1) the extent to which issuers that previously offered health plans in the individual and small-group markets participated in the exchanges in 2014, and (2) the issuers that participated in 2014 exchanges and the health plans they offered. According to the highlights document of the report, most of the largest issuers of health coverage from 2012 participated in the exchanges that the Patient Protection and Affordable Care Act (PPACA) required be established in all states in 2014. Previously in 2012, while a large number of issuers participated in state individual and small-group markets, a small number of these participating issuers held a majority of the market share in terms of enrollment. In 2014, for both those exchanges serving the individual market and those serving the small-group market, in more than two-thirds of states the issuer with the largest share of the 2012 market participated in the 2014 exchange. In addition, in most states, other larger issuers with a 5 percent or more share of the 2012 market participated in the 2014 exchanges. Most smaller issuers with less than 5 percent of the 2012 market did not participate in the 2014 exchanges, although in many states more than one of these smaller issuers did participate. In addition, some issuers that participated in a 2014 individual or small-business exchange had not offered coverage in the respective 2012 market, although they may have offered coverage in other markets within the same state. In most states, for 2014, the issuers participating in the exchanges represented a mix of larger issuers, smaller issuers, and issuers new to that market. The highlights document also noted that multiple issuers participated in nearly all 2014 exchanges and generally offered more health plans than the minimum of two required by PPACA. Overall, the number of participating issuers varied widely between states from 1 to 17 issuers in the individual exchanges and from 1 to 13 issuers in the small-business exchanges. However, almost all exchanges—49 individual and 45 small-business—had more than one issuer participating. More than half of participating issuers offered coverage through both the individual and small-business exchange in that state, although more issuers participated in the individual exchanges than in the small-business exchanges. Issuers varied substantially in the number of plans they offered; 257 of the 291 issuers in the individual exchanges, and 183 of the 207 issuers in the small-business exchanges, offered more than the minimum number of plans required by PPACA in all the rating areas in which they offered coverage. For both the individual and small-business exchanges, collectively, issuers in the 25 most populous states tended to offer a higher than average number of plans, while those in less populous states were less likely to do so. If you have any questions relating to the ACA, please submit them to insurancecoverage@ahca.org and be sure to check out AHCA/NCAL’s ACA website. Today, NCAL opens up submissions to its members for Art for the Ages. This former National Assisted Living Week® theme continues as NCAL showcases the many talented artist-residents from across the country. Member communities can submit resident art and craft work for display in our online art exhibit for the public. Visit www.ahcancal.org/artfortheages for more information. 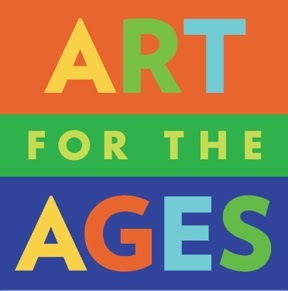 Art for the Ages celebrates this life-enhancing and enriching activity for seniors. Sharing artwork can also give inspiration to other assisted living caregivers on how to implement similar projects in their communities. Follow our board on Pinterest for previous years’ submissions. AHCA members now have access to key Medicaid and Medicare information through the new State of the States Clearinghouse. The AHCA State of the States Clearinghouse is a one stop shop for key Medicaid and Medicare information impacting the long term care profession. · And other significant state-specific data related to payment structure, managed long term services and home and community based services coverage. AHCA will continue to update the information available through the Clearinghouse and share new data/resources as they become available. Also be sure to visit the AHCA Medicaid Page to learn more about the program and to access additional AHCA members-only Medicaid resources. This categorical waiver is permitted if a health care facility meets the requirements related to power strip use in the 2012 edition of the Life Safety Code. The CMS memo emphasizes no individual waiver applications are required and a provider MUST notify the life safety survey team during the entrance conference that is has elected to use this waiver and the center meets the applicable waiver requirements. The requirements are outlined in the memo along with specific relevant definitions. AHCA strongly recommended that CMS issue a memo clarifying requirements related to use of power strips and we are pleased with the issuance of this memo. Medicare Learning Network, MLN Matters released a special edition article for all health care professionals who order, refer, or provide flu vaccines and vaccine administration to Medicare beneficiaries. http://www.cms.gov/Outreach-and-Education/Medicare-Learning-Network-MLN/MLNMattersArticles/downloads/SE1431.pdf to view this MLN Matters article and refer to it throughout the 2014 - 2015 flu season. On Thursday, September 18, the U.S. House Committee on Small Business Subcommittee on Health and Technology, chaired by Rep. Chris Collins (R-NY-27), held a hearing titled, ​ An Update on the Small Business Health Options Program (SHOP): Is It Working for Small Businesses? SHOP was created in the Affordable Care Act (ACA), and is a new way for small businesses to buy health insurance for their employees. The hearing examined the current state of the SHOP and whether they are working for small businesses. The hearing notice, memo, and witness list can be found here. Centers for Disease Control & Prevention (CDC) has released new pneumococcal vaccination recommendations. Adults 65 years of age or older are now recommended to get the pneumococcal conjugate vaccine (PCV13, Prevnar-13®) followed by the pneumococcal polysaccharide vaccine (PPSV23, Pneumovax®23) 6-12 months later. · Short article informs readers about the new pneumococcal vaccination recommendation for adults 65 years or older and explains why it is important for older adults to be up-to-date on this and other vaccines recommended for them - “CDC Releases New Recommendations for Pneumococcal Vaccination” . · Factsheet to help healthcare professionals address common questions patients ask regarding pneumococcal vaccination. Click here to view the Pneumococcal Frequently Asked Questions factsheet. · Visit the CDC’s Pneumococcal Vaccination page. · Review the Morbidity & Mortality Weekly Report from CDC. Click here to read the MMWR article. 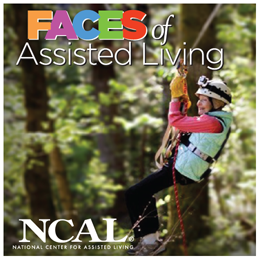 There's still time to submit your photos for NCAL's Faces of Assisted Living! Email Rachel Reeves before Wednesday, September 30 to celebrate the unique individuals residing in your member community. Your residents could be featured on NCAL's website, social media channels and other publications. Go to www.ahcancal.org/faces for more information. NCAL is conducting its annual Performance Measures Survey, collecting performance data from member communities on important quality improvement areas. The survey will remain open until Wednesday, September 30 and only takes 15 minutes to complete. All completed surveys will be entered into a drawing and two lucky communities will win a $100 American Express® Gift Card! Fill out the survey now, or learn more on the NCAL website. Members of Congress have officially left Washington to campaign for the 2014 midterm elections in November, but AHCA/NCAL advocacy efforts are in full swing. The time just before the election is perfect to invite your Members of Congress to come see what you do and love. AHCA/NCAL members have already coordinated over a hundred tours of skilled nursing and assisted living communities in the last few months alone. There is no better way to show policymakers in Washington just how much you care about your work and how much it matters than them seeing it first hand. Being an election year, district outreach is on every politician’s mind. House members and Senators will be back in their home districts and states for all of August and the majority of September and October as well. It is the perfect time to contact your Washington representatives and invite them to meet their constituents and learn about the pressing long term care issues that are affecting their local communities. ACHA/NCAL is making a big push this year to show Congress exactly how much our work matters—but we need your help. · FY 2015 Transition Memo has been posted to CMS website regarding transition policy as finalized in FY 2015 SNF PPS rule related to revised COT OMRA requirements. Click here to access the transition memo. · A variety of typographical issues in the revised RAI manual were noted by callers. CMS is in the process of identifying how to address typographical issues identified in the revised RAI manual. The next SNF/LTC Open Door Forum is scheduled for November 13, 2014. For Open Door Forum schedule updates and e-mail list registration, visit CMS Open Door Forums website. Webinar: Leasing vs Owning…which approach should I take regarding my facilities? Cambridge Realty Capital Companies will present a webinar discussing the attributes and highlights of the common question asked by both large and small owners of long term care facilities; should I own or lease my facility? Participants will receive a better understanding of the differences between owning and leasing, and what are the respective advantages and disadvantages. An “insider’s guide” to both types and forms of financing will be shared. Participants will have an opportunity to get their questions answered. · Understand the advantages and disadvantages of leasing versus owning your facility. · Have a good understanding of both the differences and common misconceptions between owning and leasing your facility. · Walk away with specific tips as to how to achieve the best outcome whether you lease a facility or own the facility. The Agency for Healthcare Research and Quality would like to make you aware of the following eLearning course offered by the Office of Disease Prevention and Health Promotion: Preventing Adverse Drug Events: Individualizing Glycemic Targets Using Health Literacy Strategies. Adverse drug events (ADEs) are the largest contributor to hospital-related complications and account for more than 3.5 million physician office visits each year. The U.S. Department of Health and Human Services (HHS) recently released the National Action Plan for Adverse Drug Event Prevention (ADE Action Plan), which targets diabetes agents as a significant contributor to ADEs and advocates for the use of patient-centered communication strategies to prevent hypoglycemia among patients with diabetes. Continuing education (CME, CNE, CEU, and CPE) is available to participants who complete the course. The entire panel of the DC Circuit Court of Appeals has agreed to reconsider a three-judge panel decision that held that the Affordable Care Act (ACA) premium subsidies are not available to beneficiaries in federal exchange states. As reported in July, two federal courts had issued directly conflicting decisions on the same day regarding the availability of subsidies for health insurance purchased by individuals on exchanges established by the federal government under the ACA. A three-member panel of the DC Circuit Court of Appeals had held that the subsidy is only available for insurance purchased on a state exchange (versus a federal exchange); invalidating the Internal Revenue Service (IRS) regulation that authorizes the subsidy for insurance purchased on a federal exchange (Halbig v Burwell). Shortly thereafter, a three-member panel of the Fourth Circuit Court of Appeals reached the opposite conclusion, and held that subsidies are available to all individuals who purchase insurance from the federal government, regardless of whether or not those exchanges were established by the federal government (as in most states) or by an individual state. (King v Burwell). If it is eventually determined that the IRS regulation is invalid and subsidies are not available on exchanges established by the federal government, then one leg of the government’s “three-legged stool” in the ACA is removed in more than ½ the states in the US. 3.) subsidies so that those who can’t afford insurance can get help. AHCA/NCAL will continue to keep you informed as we follow this important litigation through the judicial process. The US Department of Justice (DOJ) has launched a new website in an effort to further prevent and combat elder abuse and financial exploitation, according the the agency’s press release. The Elder Justice Website will serve as a resource for elder abuse prosecutors, researchers, practitioners and for victims of elder abuse and their families. The website also will serve as a forum for law enforcement and elder justice policy communities to share information and enhance public awareness about potential elder abuse. To view the DOJ press release on the website go to http://www.justice.gov/opa/pr/justice-officials-meet-key-stakeholders-launch-elder-justice-website. To view the DOJ website go to http://www.justice.gov/elderjustice/. The Seventh Circuit Court of Appeals has overturned a $9 million jury verdict to whistleblowers against an Illinois nursing facility and also weakened the False Claims Act (FCA) “worthless services” theory in instances where the provider furnishes services that clearly have value (US Ex Rel Absher v Momence Meadows Nursing Center). By way of background, in 2014, two former nurses at Momence Meadows Nursing Center filed a whistleblower (qui tam) complaint alleging that the nursing facility had defrauded the federal government by providing overpriced and substandard care and services to the patients in the facility. The federal government declined to intervene in the case; but the whistleblowers went forward and filed a complaint in District Court with a jury trial. In February, the jury held that the nursing facility had filed 1,729 false claims and determined that it should pay $3 million in damages and $19 million in fines. The judgment for the whistleblowers was over $9 million. On September 8, 2014 the Drug Enforcement Administration (DEA) released their final rule regarding the disposal of controlled substances which takes effect October 9, 2014. This rule governs the secure disposal of controlled substances by registrants and ultimate users. These regulations will implement the Secure and Responsible Drug Disposal Act of 2010 by expanding the options available to collect controlled substances from ultimate users for the purpose of disposal, including: take-back events, mail-back programs, and collection receptacle locations. Significant changes are made in this final rule which the DEA states are to help ensure that long term care centers have adequate disposal options. AHCA/NCAL previously submitted comments to DEA on the proposed rule requesting clarification and modification in order for long term care providers to be able to fully operationalize the provisions that impact long term care settings. While the rule states it is voluntary to maintain collection receptacles at long term care centers, AHCA/NCAL continues to have concern with a variety of components in the final rule. These concerns include potentially significant operational challenges associated with the ultimate user and the process centers must take to dispose of drugs on behalf of the resident along with increased risk for DEA inspection. That being said, this is an individual organization decision and in house legal counsel should be consulted. AHCA/NCAL is analyzing the impact of the final rule on long term care centers including SNF and AL and will provide an update as soon as possible. To buy Marketplace insurance outside of Open Enrollment, you must qualify for a Special Enrollment Period due to a qualifying life event like marriage, birth or adoption of a child, or loss of other health coverage. If you have any questions relating to the Affordable Care Act (ACA), please submit them to insurancecoverage@ahca.org, and be sure to check out AHCA/NCAL’s ACA website. House voted Tuesday night to pass The Improving Medicare Post-Acute Care Transformation (IMPACT) Act of 2014, which creates standardized assessment tools for post-acute care (PAC). The bill will require PAC providers to submit standardized data on services and requires the Department of Health and Human Services (HHS) as well as the Medicare Payment Advisory Commission (MedPAC) to provide Congress with new PAC payment models. The chamber passed the bipartisan bill by voice vote. The legislation was put on the suspension calendar earlier in the week, a tool used to expedite uncontroversial measures that requires two-thirds of the chamber’s approval. The legislation was not marked up in any House committee. The IMPACT Act is widely seen as a move towards larger PAC payment reforms, such as bundling or site-neutral payments. Earlier in the year, MedPAC expressed the need for standardized data and a common assessment tool for all PAC settings in a letter expressing the views of over 70 stakeholders. Such data would allow comparison of conditions, quality, and outcomes across payment settings. The measure will now be sent to the Senate where it will await final passage. Want to enhance organizational success? Want to receive actionable, customized peer feedback? Want to prepare for the regulatory future? Want to gain national recognition? Want to have superior performance outcome? If you answered yes to any or all of the above…Submit your Intent to Apply for the 2015 AHCA/NCAL National Quality Award Program! The AHCA/NCAL National Quality Awards program seeks to recognize long term and post-acute care centers across the nation that strive for improved quality care. The program sets high standards for quality based on the Baldrige Performance Excellence criteria and encourages centers to commit, achieve, and excel in quality performance. Applicants may apply for three levels of awards: Bronze, Silver, or Gold, each of which requires a more detailed and comprehensive demonstration of systematic quality. Centers must receive an award at each level to progress to the next level. Intent to apply deadline is November 13, 2014. Questions email qualityaward@ahca.org or Urvi Shah. AHCA members will soon have access to key Medicaid and Medicare information through the new State of the States Clearinghouse. Launching in early October, the Clearinghouse will be a one stop shop website for valuable state-specific data impacting the long term care profession. Look for more information in the coming weeks about the Clearinghouse. Following its launch, AHCA will continuously update the site and share new data/resources as they become available. Members can visit the AHCA Medicaid Page now to learn more about the program and to access AHCA members-only Medicaid resources. Currently Recruiting Examiners for the 2015 AHCA/NCAL National Quality Award Program! Senior and Master Examiner recruitment for the 2015 AHCA/NCAL National Quality Award program has now begun! Senior Examiners review the Silver applications while Master Examiners review the Gold applications for the National Quality Award program. There are many benefits to serving as an Examiner. Not only is it a great opportunity for personal learning and professional development, but individuals who participate as Examiners have a much better grasp of the criteria and can use that knowledge to improve their organizations and/or submit a National Quality Award application. It is also an excellent networking opportunity; Examiners gain professional contacts throughout the country, and make life-long friendships through the program. Serving as an Examiner is a serious commitment, both in time and impact to the program. Examiners work in teams reviewing their assigned applications. Travel to the training session and/or review session is required, and AHCA covers the travel expenses associated with all required meetings. Examiners are also required to participate in weekly conference calls with their assigned team during the 12 week review period, and complete assigned work between those calls. For more information and to submit an application, please visit the 2015 National Quality Award Examiner website. Last Friday, September 12, the Medicare Payment Advisory Commission (MedPAC) held a meeting on hospital short stay policy issues. The Commission meets publicly in Washington, D.C., to discuss Medicare issues and policy questions and to develop and approve reports and recommendations to the U.S. Congress. At these meetings, staff present research and policy options for the Commissioners to discuss. The September 12 hospital short stay policy issues meeting focused on, among other topics discussed, observation stays, the 2-midnight rule, Recovery Audit Contractors, one-day inpatient stays, and beneficiary impacts. A McKnight’s article that provides a brief overview of the meeting can be found here, while the MedPAC meeting issue brief and the PowerPoint presentation can be found here. A transcript of the meeting will be made available in the near future on the MedPAC website. More information about the observation stays issue can be found on the AHCA website. The advance registration deadline for the 65th Annual AHCA/NCAL Convention & Expo has been extended through Friday, September 19. If you haven’t registered for the event, there is still time. After this date, on-site registration applies and will be available at the registration desk on-site starting at 6:45 AM on Sunday, October 5. The US Department of Health and Human Services, Office for Civil Rights (OCR) released a final Health Insurance Portability and Accountability Act (HIPAA) Omnibus rule in 2013. However, all HIPAA covered entities and business associates must meet the September 22, 2014 deadline to revise business associate agreements that were already in place when the HIPAA Omnibus Rule was first published on January 25, 2013. HIPAA covered entities, including both nursing and assisted living facilities, should review all of their existing business associate agreements to ensure they’re compliant on September 22nd. If the contracts are not compliant, then providers should renegotiate those agreements and revise them by the deadline. To obtain a copy of the final rule go to http://www.gpo.gov/fdsys/pkg/FR-2013-01-25/pdf/2013-01073.pdf. National Health IT Week is occurring this week from September 15-19, 2014. The Centers for Medicare and Medicaid Services (CMS) is marking the week by hosting several webinars and launching new resources. For the latest news and updates on CMS’ Health IT activities, visit the CMS eHealth website. The US Department of Health and Human Services (HHS), Office of Inspector General (OIG) has recently approved state Medicaid Fraud Control Unit (MFCU) data mining applications in California, Michigan, Missouri and Oklahoma. As reported previously, OIG published a final rule in May 2013, which amended a previous HHS regulation, to allow MFCUs to use federal matching funds to identify fraud through screening and analyzing Medicaid data (e.g., data mining). Data mining is defined in the rule as “…the practice of electronically sorting Medicaid or other relevant data, including but not limited to the use of statistical models and intelligent technologies, to uncover patterns and relationships within that data to identify aberrant utilization, billing, or other practices that are potentially fraudulent." To obtain copies of the OIG approval letters and a copy of the OIG transmittal explaining the application process go to https://oig.hhs.gov/fraud/medicaid-fraud-control-units-mfcu/data-mining.asp. The US Department of Health and Human Services, Office of Inspector General (OIG) has just released its updated List of Excluded Individuals and Entities (LEIE) database file, which reflects all OIG exclusions and reinstatement actions up to, and including, those taken in August 2014. This new file is meant to replace the updated LEIE database file available for download last month. Individuals and entities that have been reinstated to the federal health care programs are not included in this file. Last year, AHCA/NCAL released a consumer fact sheet on the use of antipsychotic medications for residents living with dementia in skilled nursing centers and assisted living communities. The fact sheet supports the efforts of the AHCA/NCAL Quality Initiative in which assisted living providers have a goal to safely reduce the off-label use of these medications by 15 percent by March 2015. The resource, the first to be offered in both English and Spanish, was created to help providers effectively communicate and engage family members on the issue. The consumer fact sheet provides family members and others involved in a resident’s care background on the off-label use of such medications. The fact sheet also includes frequently asked questions regarding individuals living with dementia. Family members are offered suggestions on how they can partner with providers to get the best possible care for their loved one. Assisted living providers can use the fact sheet in more ways than one. The NCAL Customer Relations Committee has generated a list of ideas for providers to maximize the opportunities to share the information with a larger audience. Hold a one-on-one with affected residents and families. Share it at your resident council meeting as an education tool. Make it an issue for family night education. Share it with your health care partners who may influence your residents’ usage: discharge planners, social workers, case managers, physicians, physician assistants, nurse practitioners, pharmacists, home care agencies, and hospice agencies. Use it at a staff training or in-service; especially share with medication passers or on a case-by-case basis for staff who care for residents using these medications. Include it in the new employee orientation package. Include it in your community newsletter. Use it to write a letter to the editor to your local newspaper about the issue and highlight your community’s efforts to address the issue. Include a link to it on your community’s website. Insert it into your community’s marketing packet. Place it in your community’s rack card holders with other resources. Have it available when you go to marketing fairs. Present it to other dementia groups or associations at appropriate settings: memory support groups, senior centers, senior fairs, or other community events. Share it with your local Area Agency on Aging/senior referral organization. Offer it to your community’s religious centers for their senior groups. Share how your community has used the fact sheet by emailing qualityinitiative@ncal.org. Too many vulnerable adults fall prey to con artists, family members, fiduciaries, and professional advisers who steal their nest eggs and threaten their financial security. The Consumer Financial Protection Bureau (CFPB) has released a new manual to equip assisted living and nursing center staff with the know-how to prevent and spot the warning signs of financial exploitation. In this webinar, CFPB will take you through the manual and its key points. The U.S. House Committee on Ways and Means Subcommittee on Health Chairman Kevin Brady (R-TX) held a hearing this morning on the Administration’s continued efforts to implement and administer the Affordable Care Act (ACA). The Committee heard testimony from Andy Slavitt, Deputy Principal Administrator of the Centers for Medicare & Medicaid Services (CMS) at the U.S. Department of Health and Human Services, and John Koskinen, Commissioner of the Internal Revenue Service (IRS). CMS is the federal agency that oversees the operation of the Exchanges through the Center for Consumer Information and Insurance Oversight (CCIIO), and the IRS oversees the distribution and verification of the subsidies in the ACA. More details can be found in the hearing advisory. Both the House and Senate returned to Capitol Hill this week to wrap up pending legislative issues before the November midterm elections. After traveling their districts and states in the annual August Recess, Members of Congress will be in Washington for what many expect will be a short, relatively uneventful legislative session. Both Republicans and Democrats are trying to avoid any missteps while in session, the effect of which could be felt strongly when Americans go to the polls on November 4th. The House and Senate will need to at least pass a continuing resolution to fund the government through the elections, however, or they risk a government shutdown akin to what happened in October of last year. House Republicans released a stopgap spending bill late Tuesday night to keep the government funded through early December. The legislation contains few surprises: extension of the Internet Tax Freedom Act and reauthorization of the Import Export bank are of the greatest note. The White House also received $88 million in emergency funding to cope with the Ebola outbreak which worsened while Congress was in recess. The attempt to punt major budget issues until after the election comes on the heels of the last round of primary elections taking place last night and the ballots now being set in every state. Republicans are hopeful about their chances to increase their majority in the House as well as take control of the Senate, whereas Majority Leader Harry Reid and Senate Democrats are trying to stave off viable challengers in key swing states, so avoiding turmoil while Members of Congress are in Washington is at the front of everybody’s mind. Members of Congress will return to their districts the week of September 22nd for the Jewish New Year and will presumably stay on the campaign trail until the election. 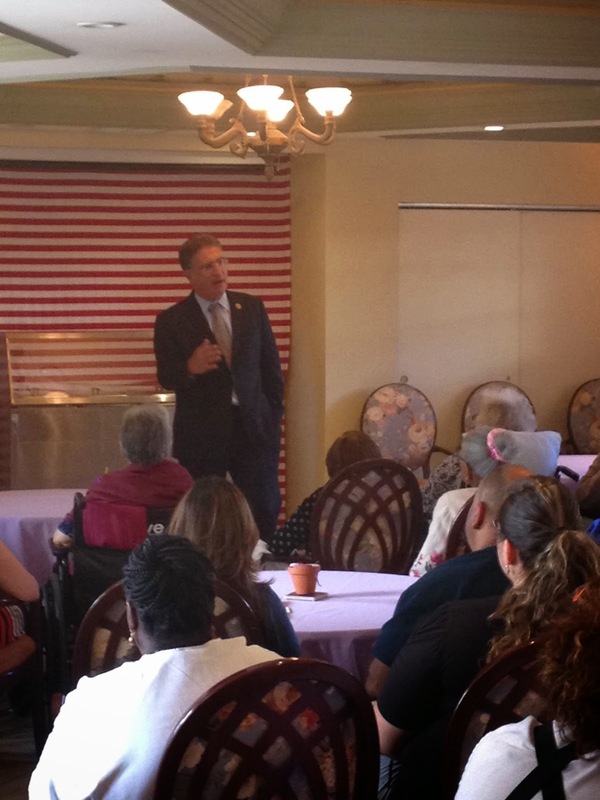 This is a great time to ask Members of Congress to tour your skilled nursing or assisted living center. Get in touch with Drew Thies (dthies@ahca.org) if you want any more information. As the needs of the Assisted Living market continue to evolve, providers are facing new and more complex challenges with medication administration, staffing for acuity, ACO partnerships, compliance, and maximizing occupancy. With the right tools, these challenges can be turned into opportunities. Join PointClickCare and Kronos as we discuss the influential changes in Assisted Living, how those changes will impact the market and how you can leverage them to build opportunities. Register and receive a complimentary Assisted Living Report. This report will show you what other Assisted Living providers are saying in relation to key trends contributing to complexity in the growing assisted living market. The Sept. 2 court order prevents CMS from awarding the affected RA procurement contracts until the appeal has been resolved through the Federal Circuit Court of Appeals. However, the current median disposition time of such appeals in this court is over ten months. It remains uncertain whether CMS will challenge the appeal, or whether they will instead decide to revise the contract language to address the CGI complaint and restart the procurement process, which would probably take another year to complete. CMS has been preparing for such a possibility. Current RA contracts were set to expire in February, at which time all RA review activities, including Part B therapy manual medical review (MMR), were put on a pause until the planned new contracts were to be issued this summer. As the procurement process delays persisted due to various protest activities, CMS announced on August 4, “Due to the continued delay in awarding new Recovery Auditor contracts, the CMS is initiating contract modifications to the current Recovery Auditor contracts to allow the Recovery Auditors to restart some reviews. Most reviews will be done on an automated basis, but a limited number will be complex reviews of topics selected by CMS.” To date, the CMS website has indicated that such contract modifications have been issued to the current RAs in Regions A,B, C, and D.
AHCA continues to monitor this issue and is communicating with CMS regularly. We will inform AHCA members when any additional details become available, particularly related to when and how CMS intends to proceed with the limited RA reviews (including Part B therapy MMR) in the near future. For any additional information, please contact dciolek@ahca.org. According to Capsules, the Kaiser Health News Blog, the Centers for Medicare and Medicaid Services (CMS) recently announced that businesses in five states (Missouri, Illinois, Ohio, New Jersey and Delaware) will get an early look at the federal health insurance marketplace for small businesses. Businesses with fewer than 50 full-time workers in these states will be able to access the Small Business Health Options Program (SHOP) in late October, ahead of the November 15 start of open enrollment. SHOP was created in the Affordable Care Act (ACA), and is a new way for small businesses to buy health insurance for their employees. Noted in the Capsules posting, a CMS official said the five states were selected based on the agency’s analysis of state insurance markets and the availability of employee choice, among other factors. Earlier this week, the U.S. Department of Health and Human Services (HHS) announced $60 million in funding to help consumers navigate their health care coverage options in the Health Insurance Marketplace. On Monday, September 8, HHS Secretary Sylvia M. Burwell announced $60 million in Navigator grant awards to 90 organizations in states with federally-facilitated and state partnership Marketplaces. According to the Department’s press release, these awards support preparation and outreach activities in year two of Marketplace enrollment and build on lessons learned from last year. In addition to Navigators, Marketplaces make other resources available to consumers to help them access Marketplace coverage, such as certified application counselors, non-navigator assistance personnel (also known as in-person assisters), and agents and brokers. Consumers in federally-facilitated and state partnership Marketplaces can visit Find Local Help to find assistance in their area. For a list of HHS Navigator awardees or more information about Navigators and other Marketplace resources, please visit: http://cciio.cms.gov/programs/exchanges/assistance.html. CMS announces the Release of Learning Tool on Building Respect for Lesbian, Gay, Bisexual, Transgender (LGBT) Older Adults. The training tools are free and targeted for use by long term care providers. There are six on-line training modules, each lasting about 10 minutes. The learning tool is intended for long term care providers and addresses the needs and rights of older LGBT adults in LTC. The tool is presented in six online training modules including video testimonials, quizzes and helpful information. Each module lasts approximately 10 minutes and can be completed over time. The tool was developed by the Administration for Community Living and Administration on Aging, with support from many groups including but not limited to SAGE's National Resource Center on LGBT Aging, FORGE Transgender Aging Network, National Center for Transgender Equality, the National Gay and Lesbian Task Force, the Human Rights Campaign Foundation, the National Senior Citizens Law Center, Rose Villa, and the Methodist Home of D.C. The learning tool can be accessed through the National Resource Center on LGBT. Users will be required to complete a registration form to access the free tools. The Drug Enforcement Administration (DEA) has issued a final rule imposing stricter regulatory controls and sanctions on people who handle or propose to handle hydrocodone combination products, drugs that contain hydrocodone and specified amounts of other substances. Effective October 6, 2014, the rule moves hydrocodone combination products from Schedule III to Schedule II. The Controlled Substances Act places substances with accepted medical uses into one of four schedules; schedule II is for substances with the highest potential for harm and abuse. According to an analysis by HHS and the DEA, hydrocodone combination products have a high potential for abuse, which may lead to severe psychological or physical dependence. A Food and Drug Administration advisory committee also recommended the schedule change last year. AHCA submitted comments requesting delayed implementation or allow SNFs to accept orders for hydrocodone from physicians as done in hospitals. The final rule allows a form of delayed implementation of 45 days from the date of publication to the effective date, versus the usual 30 days. Pages 49672-49673 of the final rule address the impact on long term care facilities. Click here to read the final rule. CMS issued a S&C memo entitled: Completion of Minimum Data Set (MDS) 3.0 Discharge Assessments for Resident Transfers from a Medicare- and/or Medicaid-Certified Bed to a Non-Certified Bed. This memo provides reinforcement of the requirement for MDS 3.0 Discharge assessments to be completed when a resident transfers from a Medicare- and/or Medicaid-certified bed to a non-certified bed, including when housed under the same certified facility. Discharge assessments are required assessments and are critical to ensuring the accuracy of Quality Measures (QMs) and in aiding in resident care planning for discharge from the certified facility. The memo also informs the RAI User’s Manual Version 1.12 is scheduled to be posted to CMS’ Nursing Home Quality Initiatives website on or about September 5, 2014. Medications, when used appropriately, can help promote the resident’s highest practicable mental, physical, and psychosocial well-being. Medications used inappropriately can compromise a resident’s well-being and even cause death. Ensuring that residents receive medications that are needed and appropriate for their medical condition is a critical component of safe and effective care. The Advancing Excellence (AE) medications goal has initially focused on antipsychotic drugs. AE resources provide staff with alternative non-pharmacological interventions for residents who otherwise would likely be treated with antipsychotic medications. This tool will help you follow the dose and scheduling of these medications, behavioral and symptom changes, interventions attempted, and gradual dose reduction attempts. This week, NCAL revealed an updated version of its "Guiding Principles for Assisted Living." Approved by the NCAL Board of Directors earlier this summer, the document is intended to provide an aspirational framework to help promote a general understanding of quality principles in assisted living. As the assisted living profession continues to grow and change, NCAL developed guiding principles to assist providers, residents, family members and staff in providing quality care and services and promote full disclosure of information to prospective family members and residents. The new "Guiding Principles for Assisted Living" encourages an increased focus on the delivery of person-centered care; special training for staff who deliver specialty care; and installation of carbon monoxide detectors in accordance with state and local requirements. The contents of NCAL’s Guiding Principles for Quality in Assisted Living may represent some preferred practices, but do not represent minimum standards, “standards of care,” or industry-wide norms for assisted living communities. Download NCAL's "Guiding Principles for Assisted Living" or access them on the NCAL website: www.ncal.org. Sound the Trumpets! NALW is Here! Happy National Assisted Living Week® (NALW)! All over the country, assisted living providers, team members, residents, families and volunteers are celebrating “The Magic of Music” through innovative events and activities. Held each year beginning on Grandparents Day, NALW showcases the enriching environments of assisted living communities and the person-centered care delivered to residents every day. 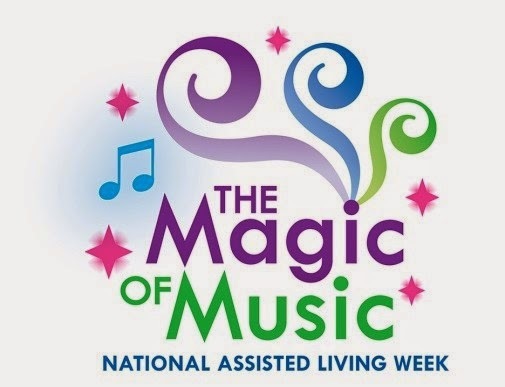 The 2014 theme, “The Magic of Music” highlights the transformational effect that music can have, and the activities held throughout the week showcase the comfort, joy and connection music provides residents in every stage of life. NALW celebrations have been second-to-none this year, from full-scale community bands with homemade instruments, to seasonal concerts with local schools and community centers. Many communities with memory care units have planned special music-themed activities for those residents. According to the Alzheimer’s Association, research shows that music can have a significant impact on cognition for those with Alzheimer's disease or another form of dementia. As NALW continues through Saturday, we want to hear from YOU! Visit the NALW Facebook page and share stories, photos and joyful moments from your NALW celebrations. Before posting a photo, be sure to secure a signed photo release form from residents. And keep track of your activities throughout the week for the NCAL Awards Program in 2015. Enjoy NALW and may the “Magic of Music” fill your heart with song! EPA Offers Special Recognition for Earning the ENERGY STAR for 5 or More Buildings in 2014! To celebrate the 15th Anniversary of ENERGY STAR for Buildings, EPA is offering special one-time recognition to organizations that certify 5, 15, 50, or 150 or more buildings in 2014. EPA has also extended the deadline to apply for certification to December 12*, to give everyone more time to earn this special recognition. This is a one-time opportunity for your organization to send a powerful message to your stakeholders that you’re committed to reducing costs, protecting the environment, and fighting climate change through energy efficiency. It’s only available this year, so there’s never been a better time to certify your buildings and join ENERGY STAR Certification Nation. · Earn special, one-time recognition for certifying more than five buildings in 2014. – 5+ buildings: Your organization will be highlighted on the ENERGY STAR website and receive special 15th Anniversary web graphics. – 15+ buildings: Everything above, plus a sample press release and social media posts, and a letter from an EPA official to the senior executive listed in your account. – 50+ buildings: Everything above, plus printer-ready artwork files for banners and posters, and your organization will be highlighted as part of EPA’s 2015 “ENERGY STAR Top Cities” media campaign. 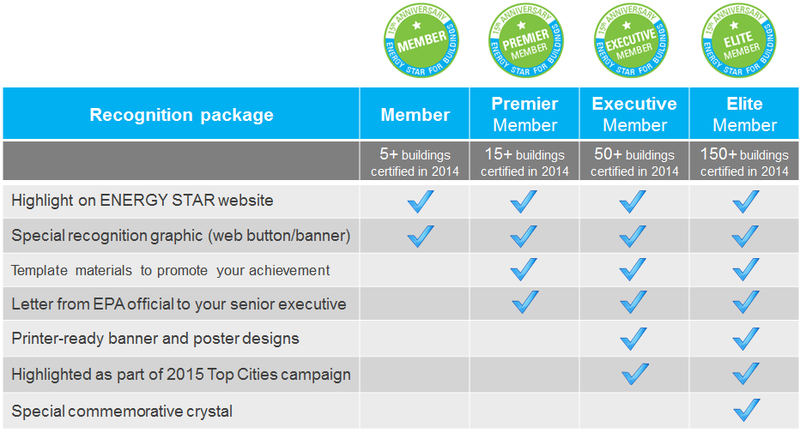 – 150+ buildings: Everything above, plus a special commemorative crystal and possible spokesperson opportunities during EPA’s 2015 “ENERGY STAR Top Cities” media campaign. 1. 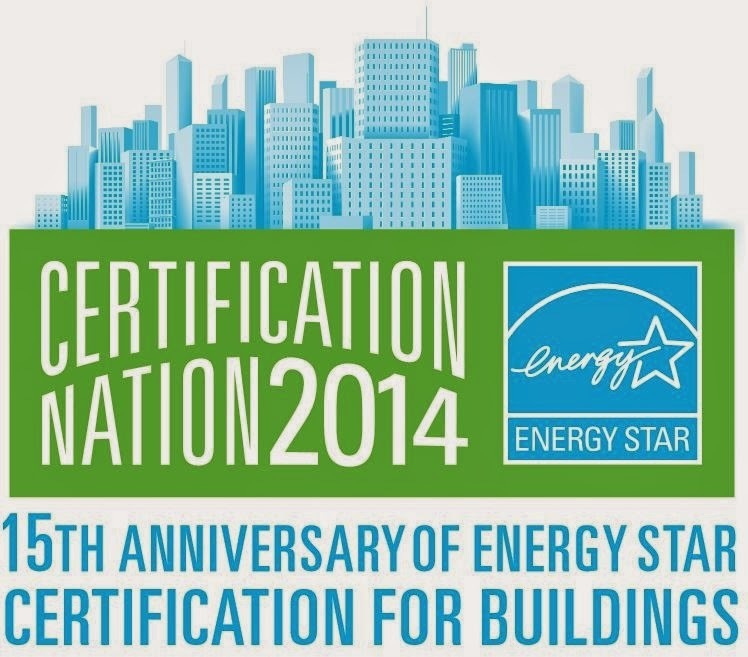 Certify 5, 15, 50, or 150 buildings in 2014 (www.energystar.gov/eslabel). *Extension details: EPA will guarantee 2014 approval for all applications that are postmarked by December 12, 2014 and that require no further questions or follow-up by EPA. 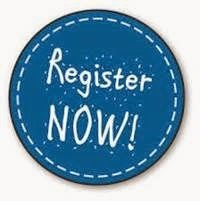 This Tuesday, September 9, is the last day you can register for the 65th Annual AHCA/NCAL Convention & Expo in advance. If you have not registered for the event and plan to attend, please register now. Also, if you plan to attend the Gala Dinner & Show featuring Pat Benatar and Neil "Spyder" Giraldo, you can still purchase tickets online through Tuesday by accessing your registration package. After September 9, on-site registration will be available starting Sunday, October 5, at 6:45 am. Rep. Joe Garcia (D- FL) toured the Floridean, a Miami skilled nursing center, to learn more about therapy provided in a skilled nursing setting. The tour, which took place Thursday, August 28th, featured a speech from the Congressman as well as an in-depth talk with the center’s director of therapy and patients receiving rehabilitative care. Patients who spoke with the Congressman explained their stories, many of which involved a return to their communities and families within a month of starting therapy at the Floridean. Skilled nursing centers provide an efficient rehabilitation environment, with a combination of physical, occupational, and speech/language therapy, to people who have lost normal functionality due to an injury, a stroke, surgery, and even a progressive disease such as arthritis. These cost-e­ffective services help avoid costly hospital and post-acute admissions and readmissions, and often facilitate the return to community-based living for beneficiaries. Existing Medicare payment policies, however, focus on phases of a patient’s illness defined by a specific service site, rather than on the characteristics or care needs of the Medicare beneficiary. This system fails to encourage collaboration and coordination across multiple sites of care and provides few incentives that reward efficient care delivery. AHCA supports a payment system for post-acute care focusing on patients rather than their setting of care. Medicare Payment Advisory Commission (MedPAC) found that outcomes between SNFs and other similar care settings were basically the same for conditions usually requiring rehabilitative service, such as strokes or hip fractures. Increasing utilization of SNF rehabilitative services by grouping patients by clinical condition and severity of injury would provide high-quality care in a setting that could save billions in Medicare spending over the next decade. For more information about skilled nursing rehabilitative service or if you are interested in having a Member of Congress tour your own skilled nursing or assisted living center, please contact Drew Thies at dthies@ahca.org. Transmittal 534 also states that MACs and ZPICs have “the discretion to deny other ‘related claims’ submitted before or after the claim in question, subject to CMS approval.” This new policy appears to broaden the scope of claims that may be subject to prepayment and postpayment review and is effective on September 8, 2014. By way of background, CMS Transmittal 534 appears to replace the CMS Transmittal 505, issued February 5, 2014 and effective March 6, 2014, to authorize all contractors who process and review Medicare claims – including Medicare Administrative Contractors (MACs), Zone Program Integrity Contractors (ZPICs), Comprehensive Error Rate Testing (CERT) Auditors, and Recovery Auditors (RACs) – to deny “related” claims submitted by another provider or supplier. To obtain a copy of Transmittal 534 go to http://arsystemsdayegusquiza.com/medicare_transmittal_534.pdf. The Center for Medicare Advocacy (CMA) has filed a nationwide class action lawsuit (Lessler v. Burwell) in the US District Court in Connecticut alleging that the 5 named beneficiaries in the case have waited longer than the statutory 90-day limit for a decision on their Medicare appeals. Under the Medicare Act, administrative law judges (ALJs) have only 90 days to issue a ruling on a disputed claim after a request for a hearing. However, the wait time now is five times the congressionally mandated time limit, according to CMA. This suit was filed just months after CMA filed a previous suit alleging that the unjust and time-consuming Medicare appeals process essentially “rubber stamps” denials at the first two levels of the appeal. The most recent CMA suit acknowledges that the ALJ hearing is the third level of the appeal, and represents the first chance for a meaningful review of a beneficiary’s appeal; but it is hopelessly and illegally delayed. AHCA/NCAL agree that HHS must ensure that the Medicare appeals process furnishes legitimate reviews through all levels of the Medicare appeals process and that both beneficiaries and providers complaints are heard in a timely and just manner. The US Department of Health and Human Services, Centers for Medicare & Medicaid Services (CMS) has recently updated its Medicare Learning Network (MLN) Article SE1428, Comprehensive Error Rate Testing (CERT): SNF Certifications and Recertifications, which alerts SNFs that a major reason for denial of claims is failure to obtain certification and recertification statements from physicians or non-physician practitioners (NPPs). The routine admission order established by a physician is not a certification of the necessity for post hospital extended care services, according to CMS. • A dated signature of the certifying physician or NPP. • A dated signature of the recertifying physician or NPP. To obtain a complete copy of the MLN Article go to http://www.cms.gov/Outreach-and-Education/Medicare-Learning-Network-MLN/MLNMattersArticles/Downloads/SE1428.pdf. The US Department of Health and Human Services, Office of Medicare Hearings and Appeals (OMHA) is implementing a Statistical Sampling Pilot (SSP) program, with the goal to reduce the significant Medicare Appeals backlog. According to OMHA, the SSP allows the provider with large volumes of claims disputes at the administrative law judge (ALJ) appeals level to use statistical sampling to draw a random sample from the claims and extrapolate the sample’s results to all of the claims. Either the provider or OMHA may request statistical sampling. An OMHA employee, called a statistical sampling coordinator, will serve as the central point of contact for the provider. An ALJ will conduct a pre-hearing conference to confirm consent for the statistical sampling. Then an order will be issued which becomes binding and the provider’s appeals are then combined into a single appeal that is assigned to a new ALJ for a hearing based on the sample selected by the OMHA statistical expert. The ALJ will review the sample and make findings and issue a decision based on that sample. The decision on the sample will then be extrapolated to all of the remaining provider claims. To obtain more information go to the OMHA fact sheet at http://www.hhs.gov/omha/statistical_sampling_fact_sheet.pdf. In late July, the House Republicans voted to sue President Barack Obama alleging that the President has overstepped his authority by unilaterally changing the federal law in his implementation of the Affordable Care Act (ACA). Specifically, the House Republicans are citing the President’s decision to delay the healthcare reform legislation’s mandate that large employers have to provide health care to their employees. The Republicans contend that Obama delayed that provision and essentially changed the law without consulting with Congress. The lawsuit calls upon the government’s system of checks and balances and asks the judicial branch to examine the President’s failure to faithfully execute the law. Baker Hostetler is handling the suit and the House has capped the representation costs at $350,000. NALW Idea: Begin Building Your Own Kitchen Band! National Assisted Living Week® begins this Sunday! Get your residents and team members ready to celebrate “The Magic of Music” by creating your own community kitchen band! 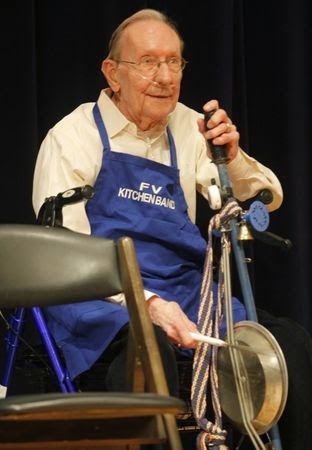 A fun activity for all, making your own kitchen band allows you to engage residents in a constructive and entertaining activity that reconnects residents with their own childhoods. ﻿﻿﻿﻿A community kitchen band engages your entire community by bringing together your residents and volunteers in an invigorating activity. Use oatmeal containers for drums, spoons, thimbles and water bottles can also be used. Share your National Assisted Living Week ideas on our Facebook page.